Prof. Dr. James P. Collins, NSF Assistant Director (Directorate of Biological Sciences), paid a visit to XTBG during May 29-30. 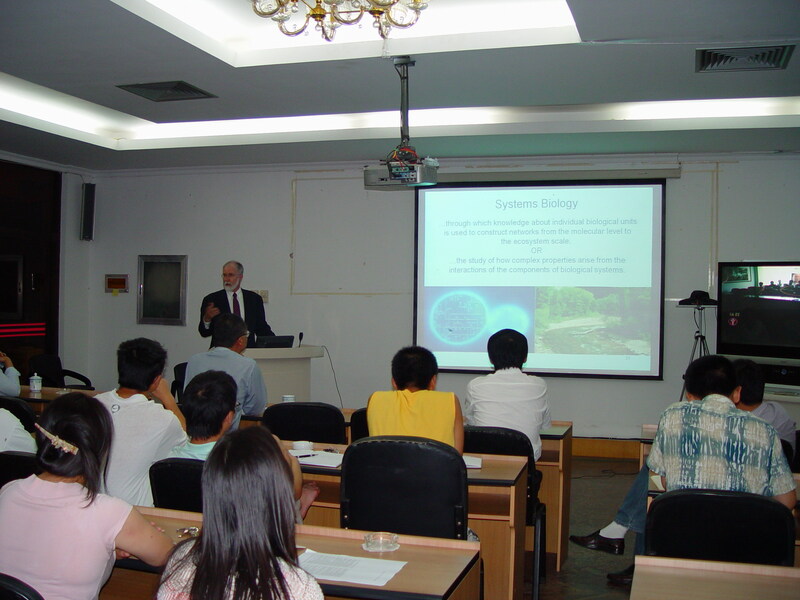 He delivered a lecture entitled “Ecology in the 21st Century: Where do we go from here”, which arouse much interest among the scientists and students here. <?xml:namespace prefix = st1 ns = "urn:schemas-microsoft-com:office:smarttags" />Prof. Dr. Chen Jin, director of XTBG, met with Dr. James P. Collins and briefed the progress in science & technology innovation, species preservation and science popularization made over the past years. 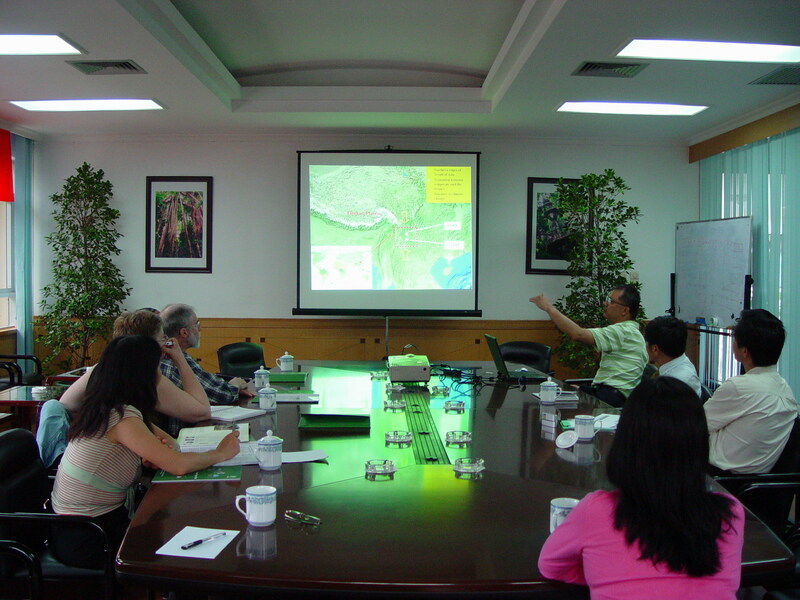 Prof. Dr. Cao Min, deputy director of XTBG, introduced the advances in the establishment of Long-term Ecological Research Network in Southeast Asia, and the research achievements of the two field stations (Xishuangbanna Tropical Rainforest Ecosystem Station and Ailaoshan Forest Ecosystem Research Station) over the past 20 years. 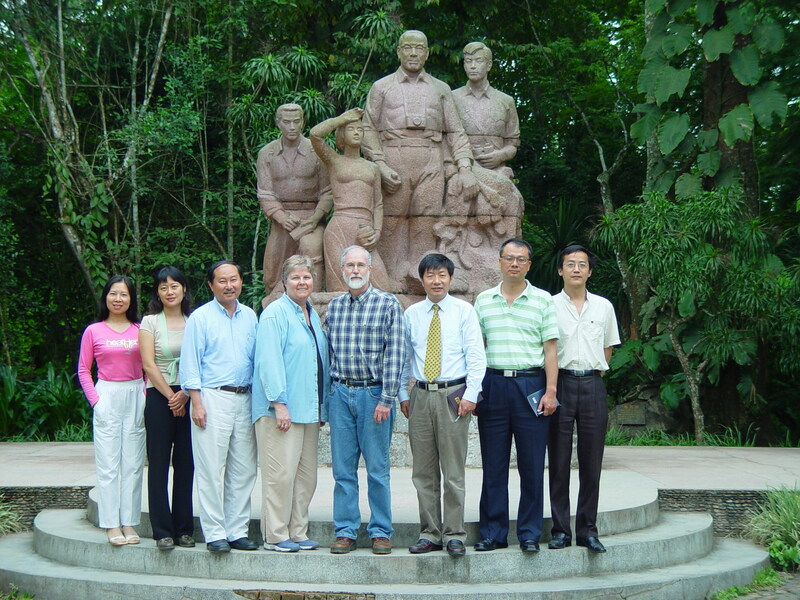 During his stay in XTBG, Prof. Dr. James P. Collins was shown around the living plant collections, herbarium, seed bank, library, laboratories and Tropical Rainforest Ethnic Culture Museum by Prof. Cao Min and Prof. Hu Huabin. Prof. Dr. James P. Collins regards XTBG as an ideal institute for research on tropical biology and conservation biology. “With some active scientific staff, students, and high-level academic papers published, XTBG is playing an important role in tropical biology, biodiversity conservation, and ecological research in the world”, added him. Prof. Dr. James P. Collins’s visit was accompanied by Dr. Joann Roskoski, executive officer of NSF Directorate for Biological Sciences, Dr. Zhang Yiben, director of NSF Beijing Office.